This hearty and satisfying Keto Beef Barley Soup has all the flavors and textures of the classic favorite, but in a keto and Whole 30 friendly package! 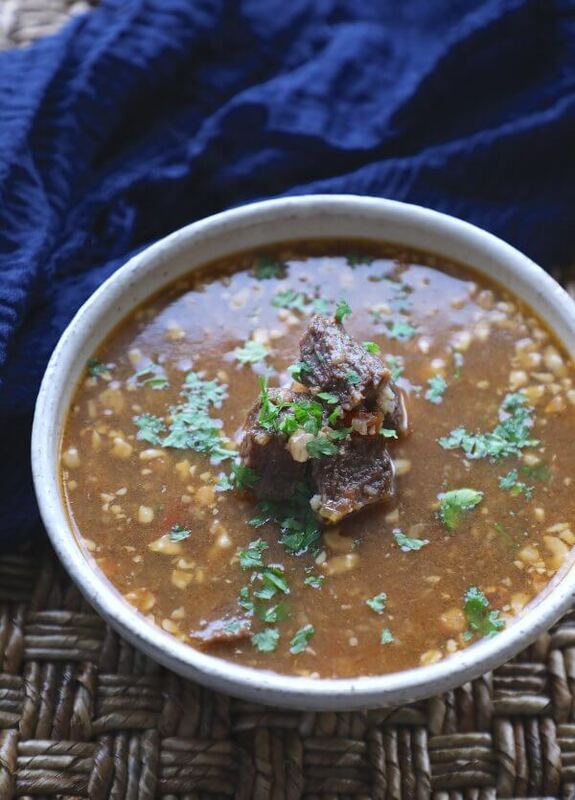 Make this comforting keto beef barley soup in your Instant Pot, slow cooker, or let it simmer on the stove for hours on the weekend – either way it’s going to make your tummy happy and your entire house smell amazing! 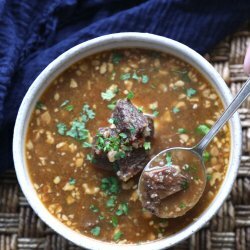 Before you freak out and hit send on that irate email, the “barley” in this Keto Beef Barley Soup isn’t barley at all – it’s actually a combination of keto friendly ingredients that I suspected could mimic the barley flavor and texture in theory, but wouldn’t know for sure until I tried it. 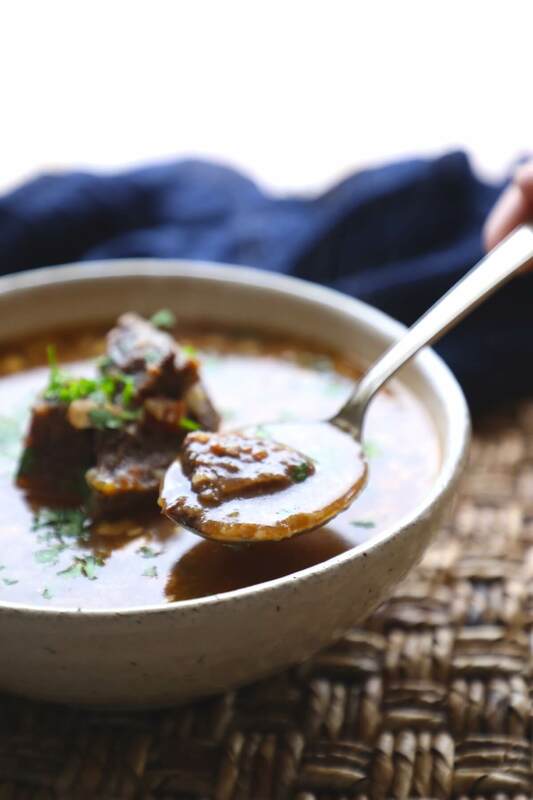 I’m happy to report that after a little experimentation with this Keto Beef Barley Soup recipe, my theory played out, and I could barley (sorry, not sorry) contain my excitement! 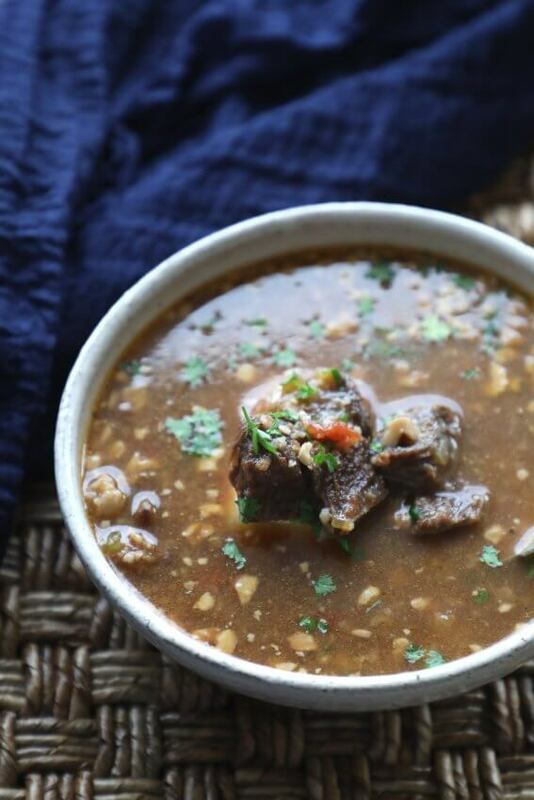 Any guesses as to what I used in place of the barley in this Keto Beef Barley Soup recipe??? If you guessed riced cauliflower you’re partly right, but that wouldn’t give it the authentic chew and mouthfeel of real barley, which is characteristic and integral to accurately mimicking a beef barley soup. Ok, Ok I’ll tell you – IT’S WALNUTS! Yup. Who knew, that walnuts in a soup would soften just enough to not be crunchy, but still have the hearty texture of a whole grain! 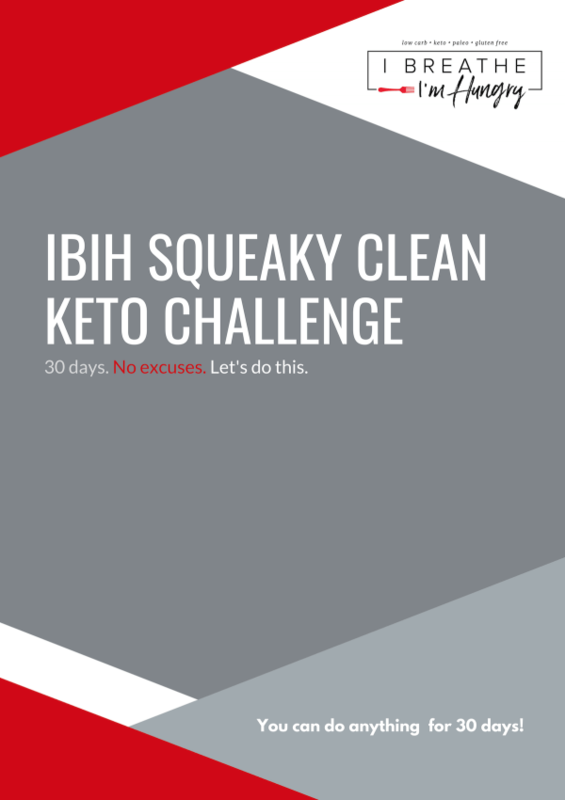 It worked like a charm and I was souper (oops, I did it again 😂) excited about it! 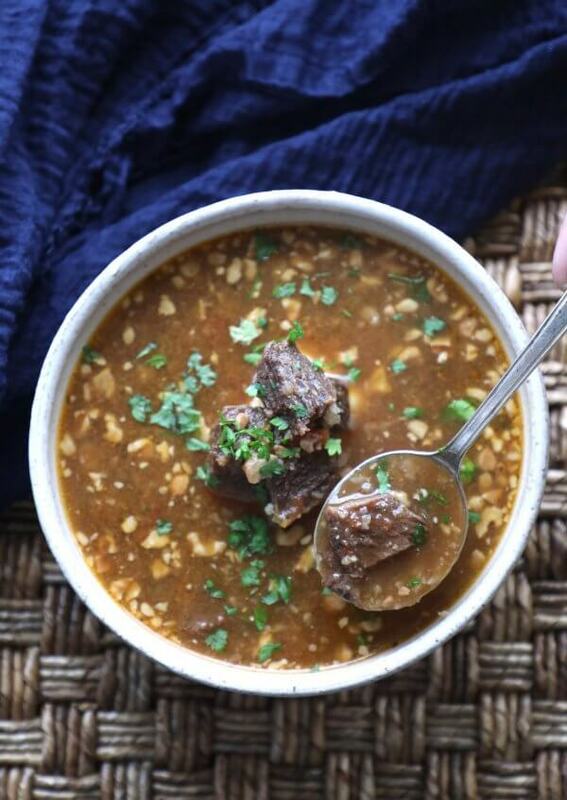 I made this Keto Beef Barley Soup in my trusty Instant Pot because it saves time, and also because it makes the beef meltingly tender. I added the walnuts and cauliflower at the end for just a few minutes, because if you throw it in all at once it would just turn to mush. 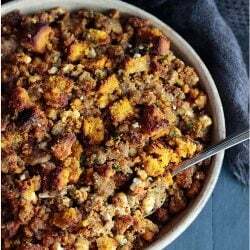 I think this would be the correct sequence no matter what cooking method you use – braise or stew the meat and liquids until tender, then throw in your walnuts and cauliflower for just enough time to get them to soften to the desired texture. Don’t just throw everything in the pot and have at it, or you won’t get the same authentic results. 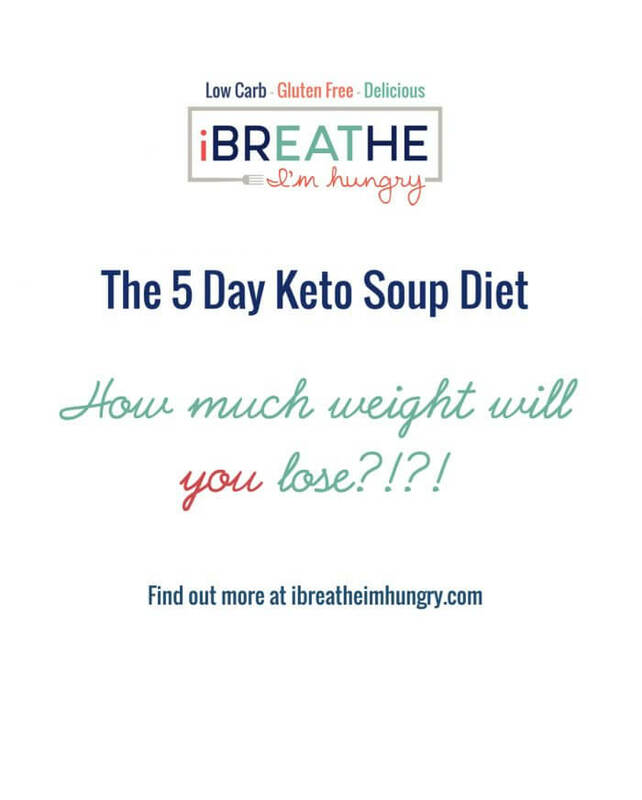 I haven’t tried it yet, but if you want to make this already dairy free Keto Beef Barley Soup also Squeaky Clean Keto friendly, you could substitute roughly chopped sunflower seeds for the walnuts and it would be totally SCKC compliant. If you do try it before I get a chance, please comment with how it went for others who might be interested! 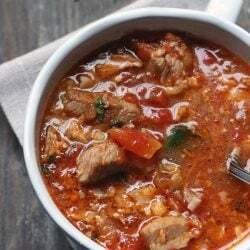 This hearty and satisfying Keto Beef Barley Soup has all the flavors and textures of the classic favorite, but in a keto and Whole 30 friendly package! Heat oil in Instant Pot on saute function. Sear the beef on all sides. Add the tomatoes, onions, celery, garlic, and beef broth. Seal and cook on manual / high pressure for 30 minutes. Release pressure using natural release and then carefully remove cover. 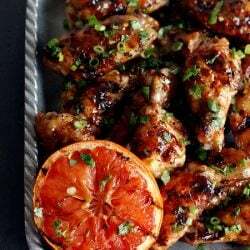 Remove any bones (if applicable) and cut the meat into bite sized pieces if necessary. Return meat to the pot and add the walnuts, cauliflower rice, fresh thyme, and xanthan gum if using. Seal the pot and set to low pressure for 15 minutes. Quick release pressure, then remove the cover, add vinegar and parsley, and season with additional salt and pepper as desired. Heat oil in a large (5 – 6 quart) heavy bottomed pot. Cover and simmer over medium low heat for 1 – 2 hours, or until the beef is fork tender. Simmer for an additional 30 minutes, or until the walnuts reach the desired texture. Add vinegar and parsley, and season with additional salt and pepper to taste. Heat oil in a large saute pan. Add the beef and sear on all sides. Transfer the beef to your slow cooker and add the tomatoes, onions, celery, garlic, and beef broth. Cook on high for an additional 30 minutes, or until the walnuts reach the desired texture. 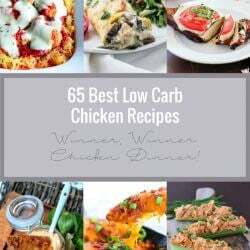 Approximate net carbs per serving = 6g. 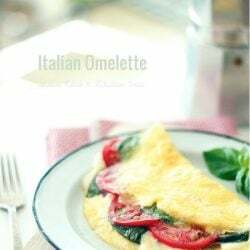 Another delicious recipe from Mellissa! 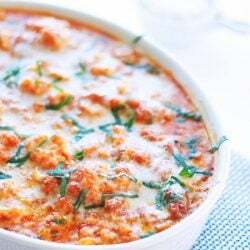 I have not made a recipe yet that my husband and I do not absolutely LOVE!! 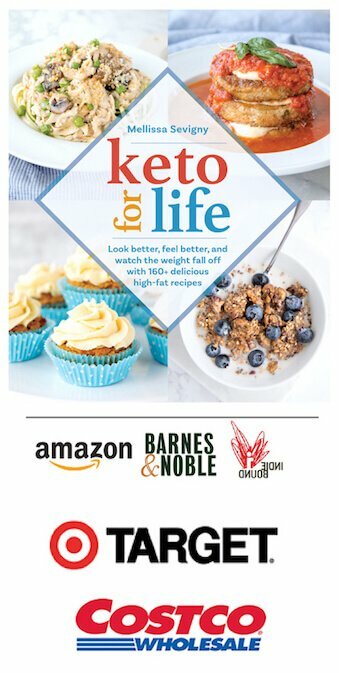 And he doesn’t eat Keto, but the recipes on this website are still his favorite. Thanks so much Lola! 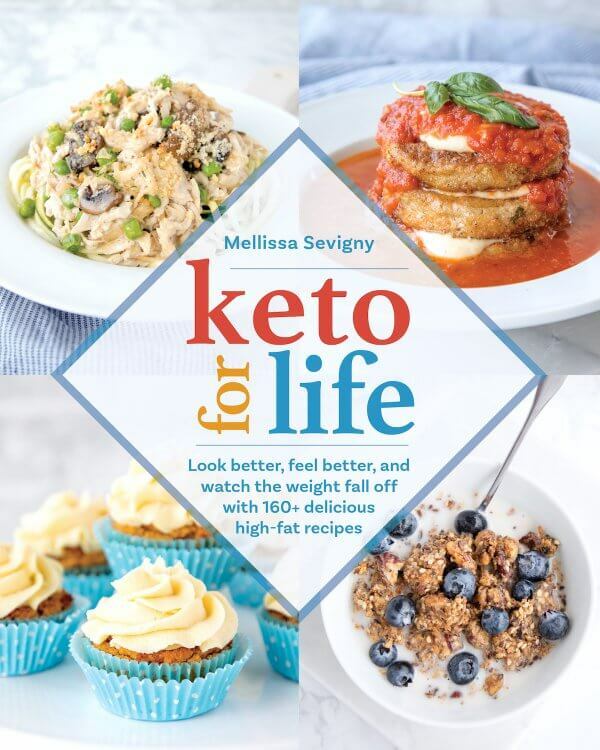 Anytime non Keto family members and friends enjoy my Keto Recipes too I consider it a huge win! Walnuts?? That’s so crazy I need to try it! My whole family loves your recipes. 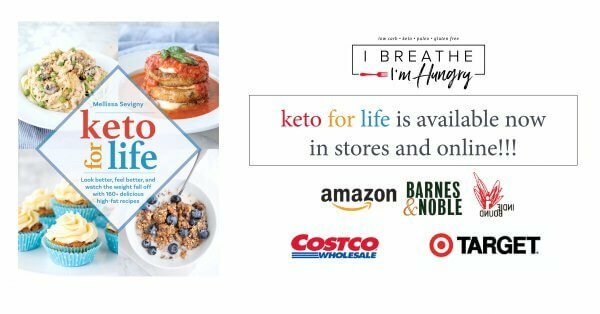 They are eating keto-friendly without even knowing it! 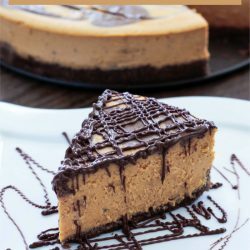 This looks sooooo delicious! I would love to have an Insta-Pot!! Yum! Beef Barley is one of my favorite soups and I’ve missed it since going low-carb. I can’t wait to try this! What a great idea with the addition of walnuts! Thank you.